Across the property of the Walt Disney World Resort there are many wonderful seasonal happenings that keep Disney fans returning year after year to brave the crowds. Disney goes all out with a festive flair from the delicious baked goods, to merchandise, to the seasonal decorations in the Parks, and spectacular holiday entertainment. 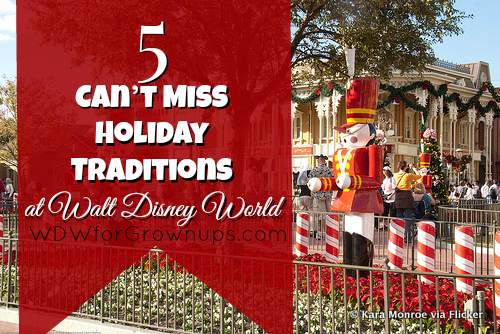 We've gathered together five of our can't miss Disney holiday favorites. Disney has announced that 2015 will be the final year for this fan favorite. If you'll be down for the season, it's worth the trip to Disney's Hollywood Studios to catch the spectacular finale season of the most amazing Christmas light display set to music you have ever seen. 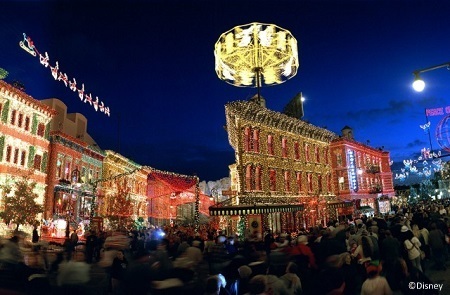 The Streets of America dazzle, so grab a hot toddy, someone you love, and enjoy the show. 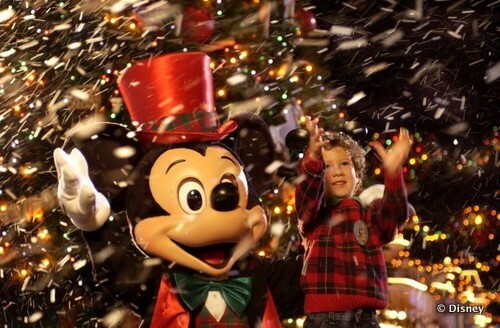 The Magic Kingdom turns into a frosty Winter Wonderland during this fun winter party. Dance parties, a holiday parade, character meet ups, hot chocolate and fresh cookies, there's even snow on Main Street USA at this special hard ticket event. My favorite part of the party has got to be the brilliant and special Holiday Wishes. Strolling World Showcase Promenade during the holiday season brings to life the spirit of season. The displays and entertainment for Holidays Around the World weaves a thread of winter traditions throughout the many pavilions, this drives home that even cultures and traditions around the world are different, we all have a special place in our heart for this time of year. Try a holiday hotel hop to check out the amazing themed decorations and fabulous gingerbread displays at the Walt Disney World Resort Hotels! 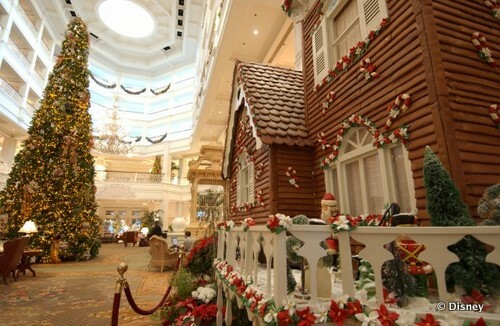 The Contemporary Resort and Grand Floridian Resort & Spa are known for their amazing gingerbread displays, while Wilderness Lodge regularly comes in on fan surveys as having the most loved holiday decor. 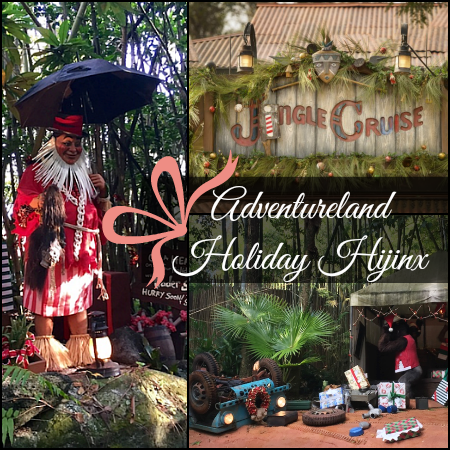 Everybody's favorite skippers were feeling a little home sick while traveling the jungles of the world, so they decked out their home away from home with a few things to make them feel the holiday love. Sadly some of the shipment of seasonal supplies missed their final destination falling deeper into the jungle. Enjoy a whole new holiday spiel too! 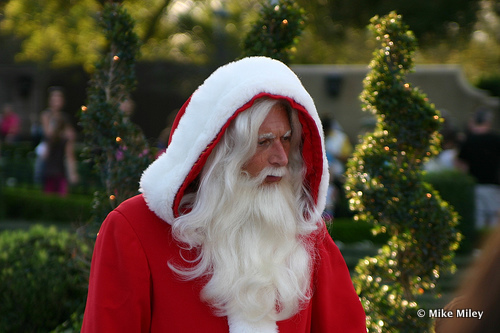 What are your favorite holiday happenings at Walt Disney World? Leave a comment below and let us know! I'm making a special effort to go to Studios for Minnie's Holiday dinner & the Osbourne lights with the annual pass special glasses on a Wed. Evening.